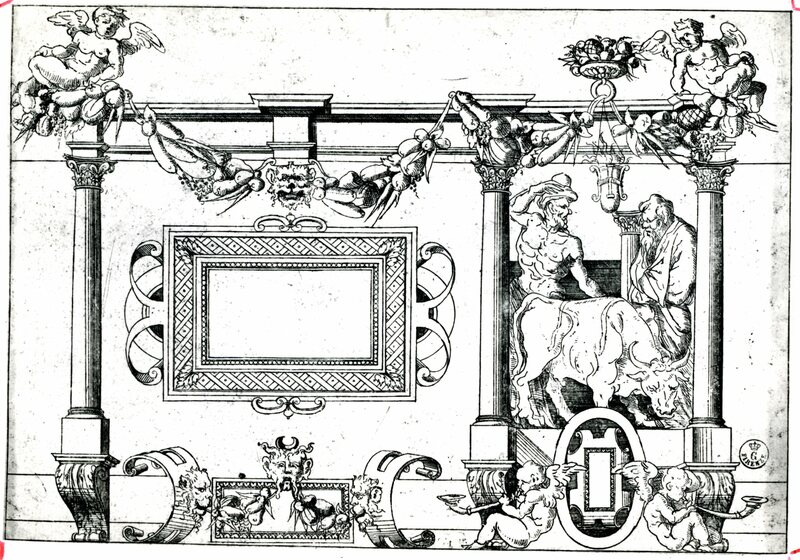 Etching by Jacques Androuet du Cerceau, 15.6 x 22.7 S (Florence). Herbet, IV, 1900, 300 (1969, 150), IV (Grands Cartouches, First Set), 2. COLLECTIONS: Florence, 12775 st. in vol. (State I). New York, 62.525, no. 39 (State III). Carroll, 1966, 173, n. 25. Béguin and Pressouyre, 1972, 139. Carroll, 1987, 275, n. 3, with Fig. (Florence). 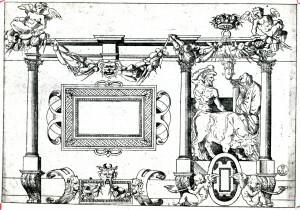 For this print, the right section of which seems to be related to the destroyed stucco panel to the left of the Scene of Sacrifice in the Gallery of Francis I, see under P.22, VII North, where it is suggested that the etching, in the same direction as the stucco, may be based on a lost drawing by Rosso.